I’m Graeme Castles, the CBT Enforcement Manager for the South. My role is to oversee the CBT team. I’ve worked for DVSA for the past 10 years and before that, I was a motorcycle instructor. In this blog post, I’d like to explain more about the really important work my team do to help everyone through a lifetime of safe riding. I also want to let you know about the changes we’re making to how we assess ATBs’ (approved training bodies) compliance with the rules. Who are the CBT enforcement team? The CBT enforcement team is split into 12 geographical areas covering the whole of Great Britain. Each area has its own CBT enforcement examiner (previously known as CBT managers) who are there to help with any aspect of motorcycle training or testing. In 2017, we also moved into DVSA’s enforcement directorate. The change means we’re now better aligned to provide support and direction to the industry and help improve training standards for new riders. All of the team are highly qualified and experienced examiners - bikers through and through - and are handpicked for their passion for motorcycling. Being qualified instructors means we have a wealth of knowledge and experience and understand the challenges and rewards of helping people onto two wheels. First and foremost, we’re here to support you. Whether you need advice on training, operating as an ATB, or have questions about the motorcycle test, we’re here to help you get it right. You can find a handy poster in your local test centre with the name and contact of your CBT area examiner. We conduct standards checks on instructors every 4 years and we’ll give you feedback on how you did. We also carry out inspections and authorise training sites to set up new off-road sites for CBT. The team investigate incidents that occur during training and on test across the UK. 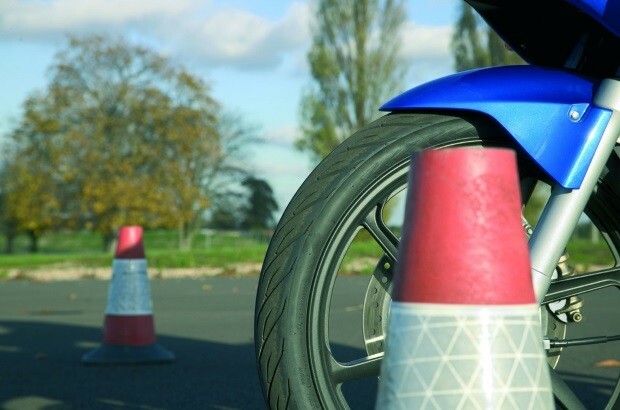 And if that wasn’t enough, we also carry out CBT and DAS qualifying assessments for motorcycle instructors at our training facility in Cardington. Unfortunately, not everyone in our industry plays by the rules, so part of our role is investigating and taking action against ATBs or instructors we receive complaints about. You might be aware that we've been carrying out unannounced compliance checks on ATBs for some time. This has been really useful in helping us identify and deal with concerns – some minor, others more serious. You can let us know if you any concerns about a training school using our CBT complaints page on GOV.UK. From October 2018, we’ll be implementing regular compliance checks with all ATBs. This will help us to ensure that anyone learning to ride remains safe and has the best experience they can. You can find out more about the changes to ATB compliance checks on GOV.UK. Although we can’t publicise a lot of the enforcement action we take, I want to reassure you that we do act when genuine concerns are raised with us. Over the past few years, a number of training schools have been closed down and instructors removed from the register. This is for serious or repeated demonstrations of poor training standards and breaches of ATB approval conditions. We’d like everyone to teach legally and to a good standard, so please get in touch with us if you have questions. The industry deserves a level playing field with fair competition. We know some ATBs try to give themselves an unfair advantage by adopting unsafe teaching practices or ignoring the rules. I want to let you know that we won’t tolerate this, and we will take action against those people. I hope this blog post helps give you a better understanding of the work we do. We’ll be blogging again soon to answer some of the common questions the team are asked. If you do have any questions, please leave them in the comments below and we’ll try and cover them in the next blog post. Long overdue! If this stops Area Supervising Examiners from taking as gospel the word of shonky ATB’s when they try to close down other trainers that ARE TRYING TO PROVIDE A PROFESSIONAL SERVICE, I’m all for you & your departments works! Why the change to the title "Enforcement Managers"? To me this carries a negative connotation, with an implication that it is assumed things require enforcement; shoot first, ask questions later. I wholeheartedly support enforcement action being taken - but only if necessary and I would hope that the majority of us are willingly striving to comply, so not needing enforcement. Compliance Manager would sound so much less prejudicial. Hi Mark. The inclusion of Enforcement refers primarily to the placement of the team in the DVSA directorate structure and is in line with the descriptors for comparable roles within the agency - it is not intended to imply any assumptions or prejudice. Our aim is to improve road safety through safe riding for life and there are many ways in which the teamwork with the industry to help promote and support this. However, your suggestion is interesting and we will look to explore this further. As a former cbt / das instructor . Now an ADI , I left motorcycle training as I found some training schools I worked for put money before the pupils safety , and the good ones couldn’t compete , including using un qualified people to do CBTS . Hi Mike. It is vitally important that all ATB’s deliver a safe, appropriate and high-quality service both in terms of road safety and to ensure a level playing field for the industry. Whilst most ATB’s do so, sadly, some do not and we are sorry that you have experienced this at first hand. DVSA are committed to raising standards and regular compliance checks along with other activities help us to identify and address areas of concern. Often these can be corrected with simple guidance but in more serious cases, enforcement action may become necessary. We would always encourage the reporting of concerns to DVSA in order that they can be properly investigated. We've always been well supported by our regional manager. I'd like to know the process / flow chart that DVSA goes through when actioning reports. Also, how are reports submitted and is there a channel through which this is preferred? Hi Richard. It’s great to hear that you receive good support from your local CBT Enforcement Examiner. Compliance check reports are completed by the CBT Enforcement Examiner following their visit to your ATB. The reports are then processed by the CBT Administration team who will provide you with a copy and a letter confirming the compliance rating gained. Should any action points be identified, the CBT Examiner will discuss these with you and advise on the next steps. In situations where serious concerns are noted, the details the Motorcycle Registers Manager will consider the case and decide on any further action required. So how are reports from the public dealt with? Anyone can pull a 'good' CBT together when they know they're being checked, but what is the QM system for an ATB that is reported by the public? Hi Tony, As there are so many variables, DVSA do not currently provide template documents, unfortunately. What about me relocating to South Yorkshire from NI as a grade 6 Cbt instructor/assessor and firner MoD DSA MC instructor and Examiner. Can I start up my own ATB please can you advise thanks in anticipation.